The Best in the West: Pickathon’s 2019 Lineup – found. Beyond a hilly countryside bordering an outer metropolis lies a magical transformation once a year at the end of summer. Trails wind through a heavily wooded forest and guide you to internationally acclaimed music on creative and intricate stages⏤some are in small barns and others are squeezed into trees. There’s a reason Pickathon is the NPR of music festivals… and the most magical place to be. Located just outside of Portland’s southeast neighborhoods, Pickathon offers an incredible weekend experience for all people of all ages and interests. From country-folk to post-punk, the festival has something for every music lover. The greatest part of it all is you have the opportunity to see artists play more than once. This year, the festival is offering free shuttle rides, local and organic food vendors, morning yoga classes, and a casual, relaxed camping experience. Time: August 1-4, 2019 | Price: $325 (buy tickets) | Kids 12 & under get in free. 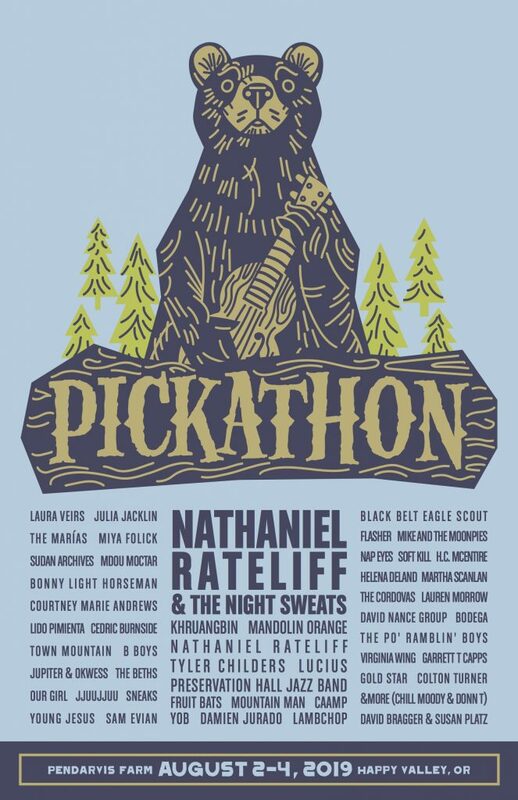 Check out the Pickathon 2019 playlist.